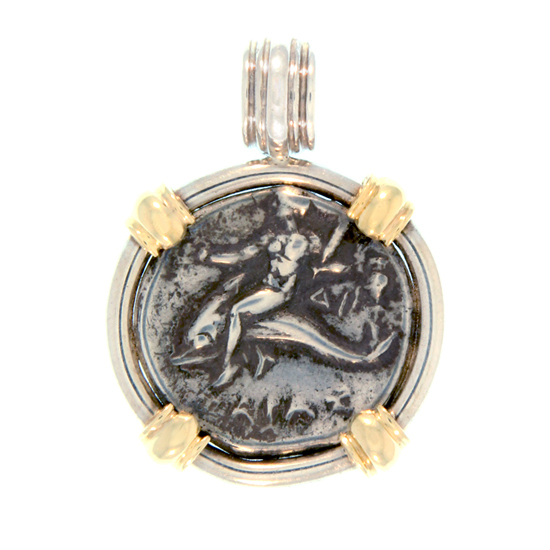 Ancient Greek Silver Didrachm Coin Pendant Circa 272 - 235 B.C. Obverse: Warrior riding horse holding two spears and round shield. 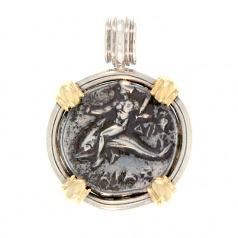 Reverse: Taras astride dolphin, holding distaff and grapes. 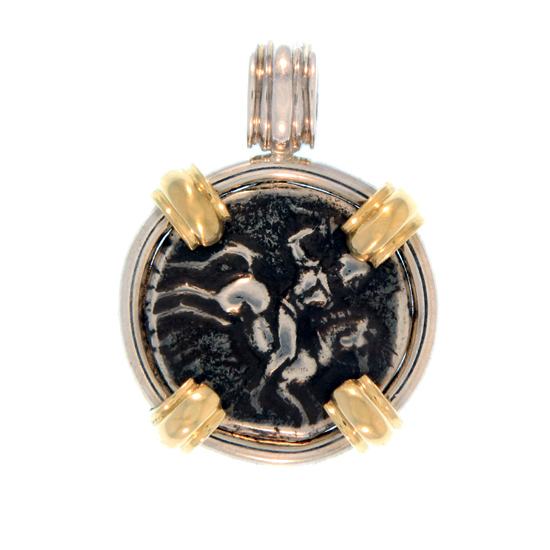 Ruler: Greek-City States; Mint: Tarentum; Country: Calabria (top of the inside heel part of ancient Italy. Framed in Sterling Silver with 18Kt Prongs. Certificate of Authenticity.